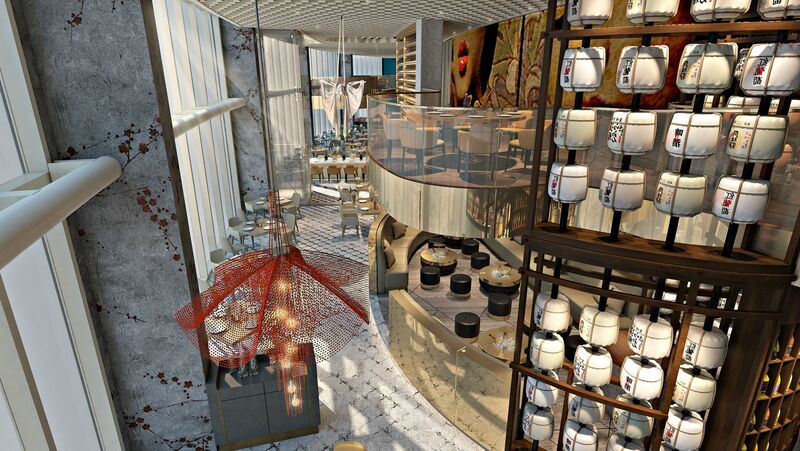 The Client brief was to create two existing restaurant destinations over two independent floors maintaining an individual identity per venue of visual and physical connectivity and association. 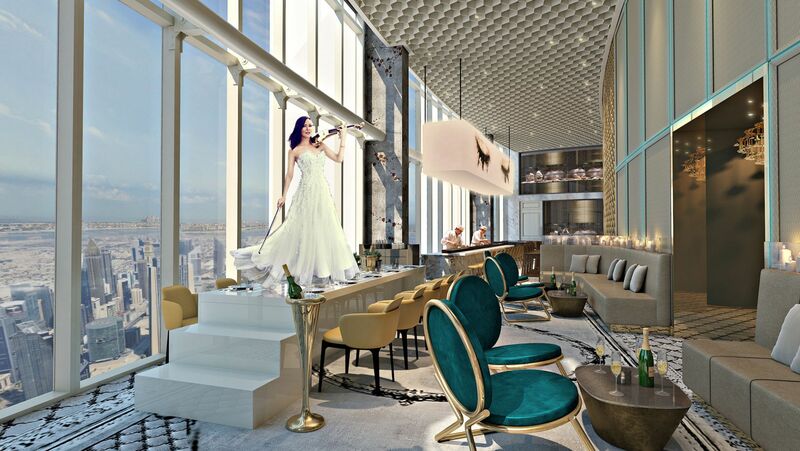 The venues were to be located over both the 70th and the 71st floor of the newly opened Address Boulevard Hotel, Downtown Dubai. 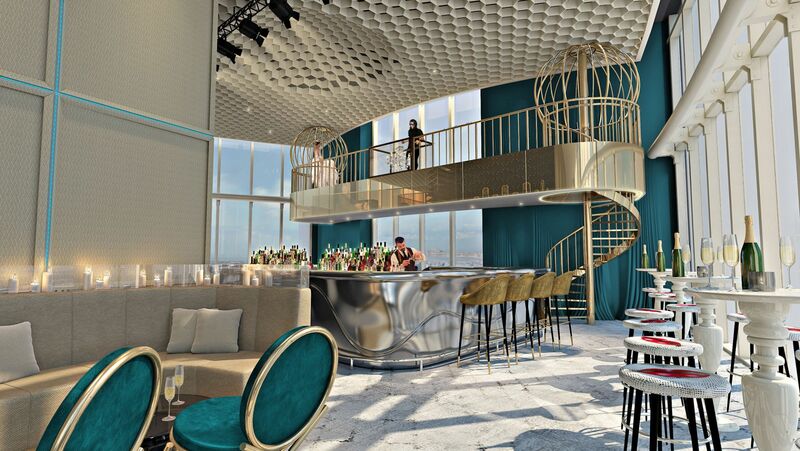 The 70th floor was to be a new dynamic destination for the renowned chef Hide Yamamoto which would accommodate multiple dining areas, lounge, bar, sake lounge, private dining rooms and VIP platform areas. 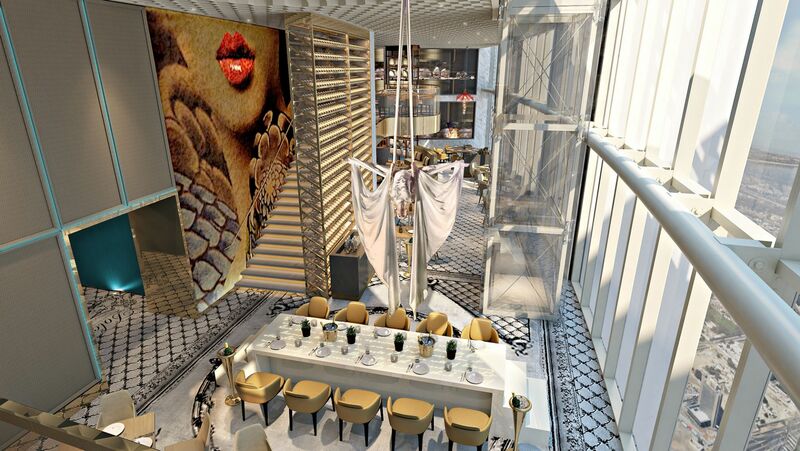 The 71st floor restaurant introduces chef Jerome Lagarde and was to be a French hybrid of contemporary and cheeky - fresh, current, bold and provocative. 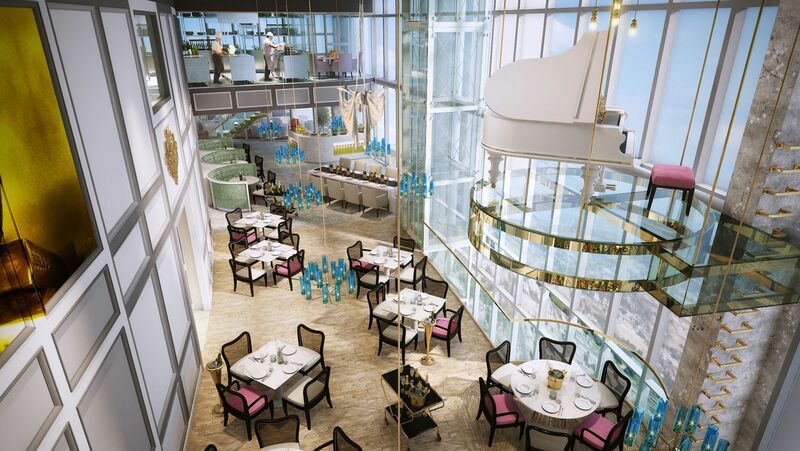 The space was to allow for private members lounge, destination bar, main dining and tea lounge. The spaces created are a perfect response to the Clients brief and vision in the creation of two truly unique venues however autonomous in their ideologies. State of the art finishes and technologies have been intelligently incorporated allowing for the intended operations to be fulfilled in a seamless diverse visual engagement where bold and an extrovert use of subliminal messaging, artwork, colour, texture and surfaces culminate in the creation of these to unique venues. 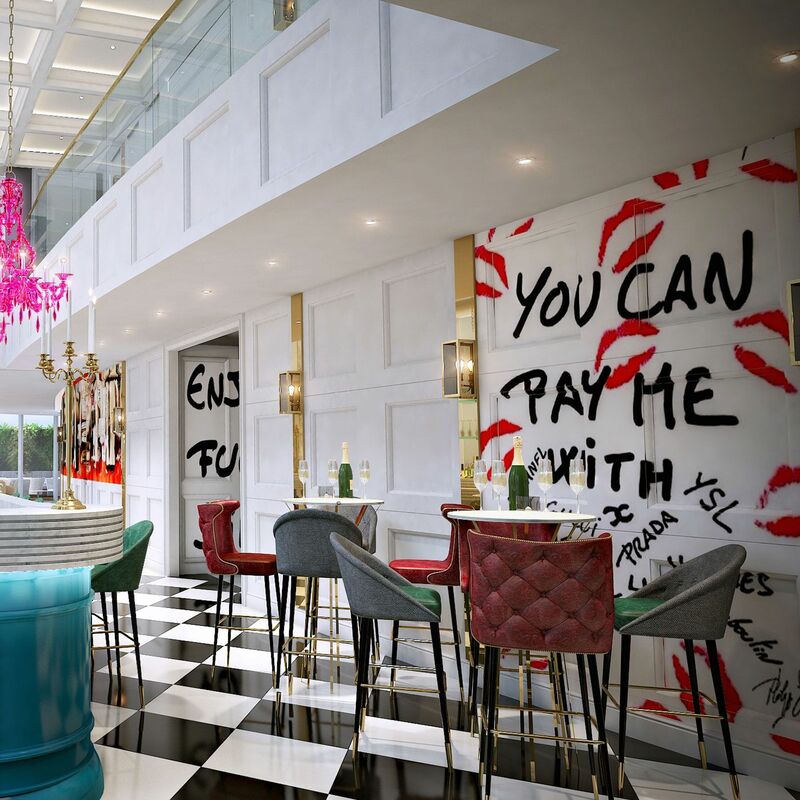 With the anticipated opening in 2018 the venues are a true endorsement to the confidence and trust given by the Client to create a new direction and offering to the regions F&B scene. 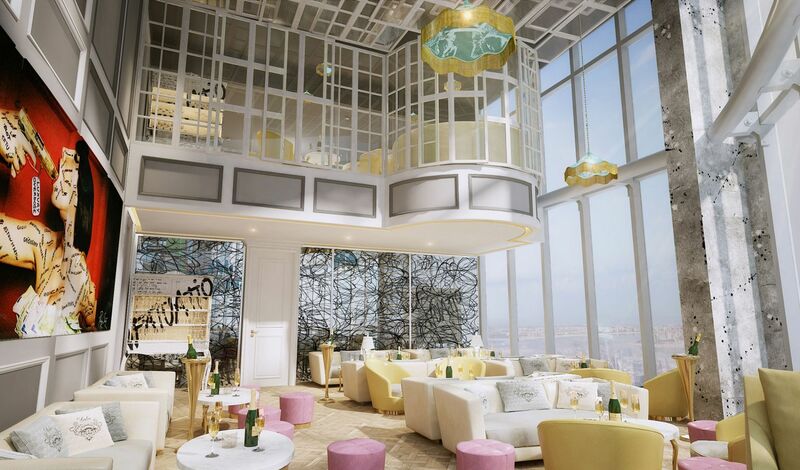 A 70th floor rooftop bar, aerial performances above the tables and two separate restaurants… could Dolce Sky be Dubai’s most wow-worthy new opening?